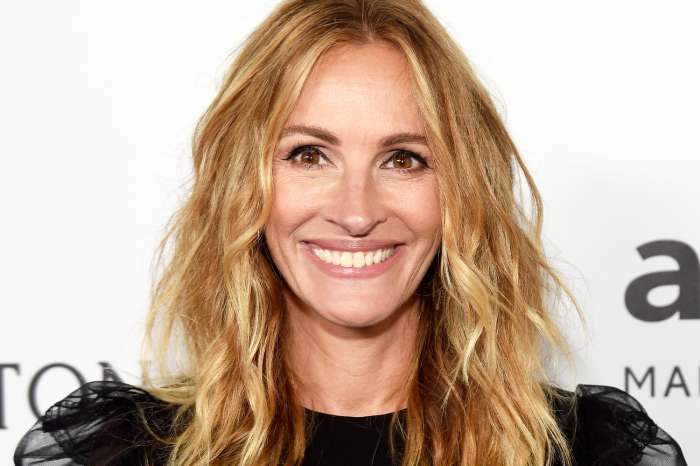 Long before celebrities like Bella Thorne, Lady Gaga, Ashley Graham, and Miley Cyrus were bearing arm-hair as a political statement, Julia Roberts was kicking off the movement, albeit unintentionally. Julia, a Hollywood mainstay for over twenty years, famously went to the London premiere of Notting Hill in 1999 and accidentally showed off her under-arm hair which many feminists and women’s rights activists considered as a political message. On the red carpet, Julia wore a sequined cap-sleeved minidress and when she lifted her arm to wave out at the crowd, she revealed that she didn’t shave her armpits. At the time, the action was somewhat controversial for women everywhere, who, according to women’s rights activists, are under pressure to conform to increasingly tight beauty standards to their detriment. Feminist writers such as Naomi Wolf have been making such claims for years. During the promotional tour for her latest series, Homecoming, on Busy Tonight, Julia confirmed the long-held rumors that it wasn’t actually a conscious decision, but a fashion mistake. On Busy Tonight, hosted by Busy Philipps, Roberts claimed it was more of a miscalculation on her part, rather than an intentional symbolic gesture. Essentially, Julia never thought she would be bearing her underarms to the world; it was a careless error. Roberts insisted that it was never meant to be a political sign, it was just something she did as a human being, rather than a politicized actress. Twenty years later, not shaving one’s armpits as a woman isn’t nearly as much of a big deal as it used to be. Recently, Bella Thorne made it on to the red carpet showing off her underarm hair, likely taking inspiration from the words of Ashley Graham. Graham, a plus-sized model, has said on a number of occasions that she was all about eliminating pesky and irritating razors. In the past, opponents of feminism and other political movements have used the “underarm hair question” as a way of insulting and delegitimizing women’s rights activists. However, we’ve come a long way since then. Kate Gosselin Fuming After Jon Posts Rare Pics With Son Collin!